Puppis. © 2003 Torsten Bronger. 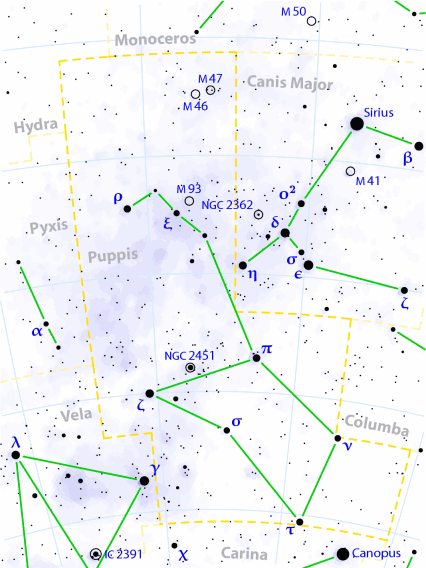 Puppis (abbreviation: Pup), the Stern of Jason's ship (the Argos), is a large southern constellation that spans a region of the Milky Way rich in interesting star fields. It shares a single sequence of Bayer letters (see Bayer designation with the other former parts of Argo Navis, Carina and Vela. See below for details of its brightest stars and interesting deep sky objects.